Free printable winter themed comprehension and WH questions language prompts for kids with hyperlexia or autism. My hyperlexic son needs extra help with comprehension so I'm always looking for new ways to work on helping him understand what he reads and hears. 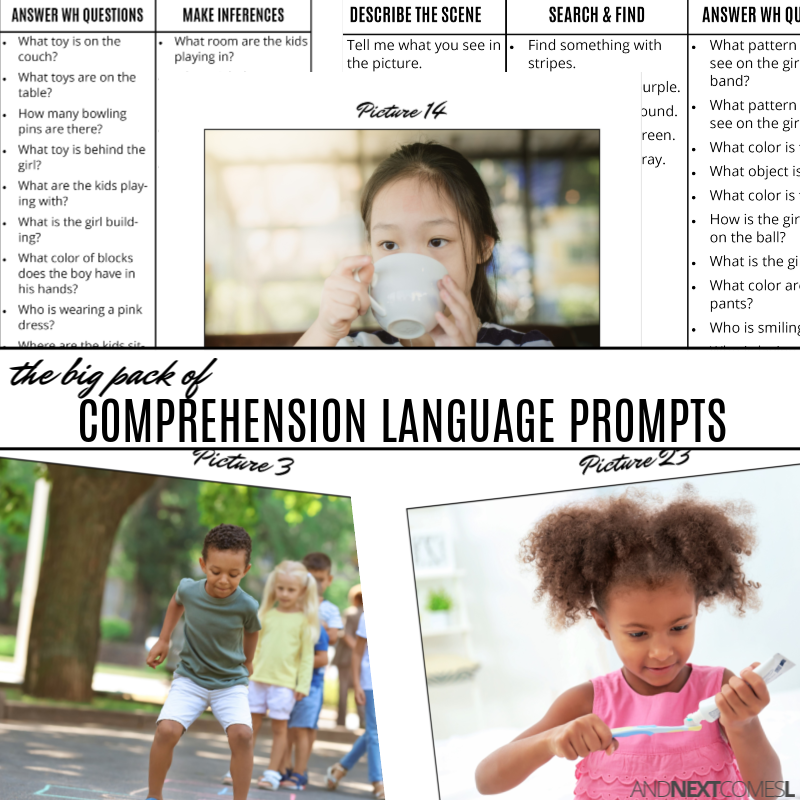 This free printable comprehension language prompts pack focuses on a variety of skills that will help aid in his comprehension, including answering WH questions and making inferences. And since winter is fierce right now (hello, yet again minus -40 C temps! ), I decided to put together a winter themed set of prompts for him. 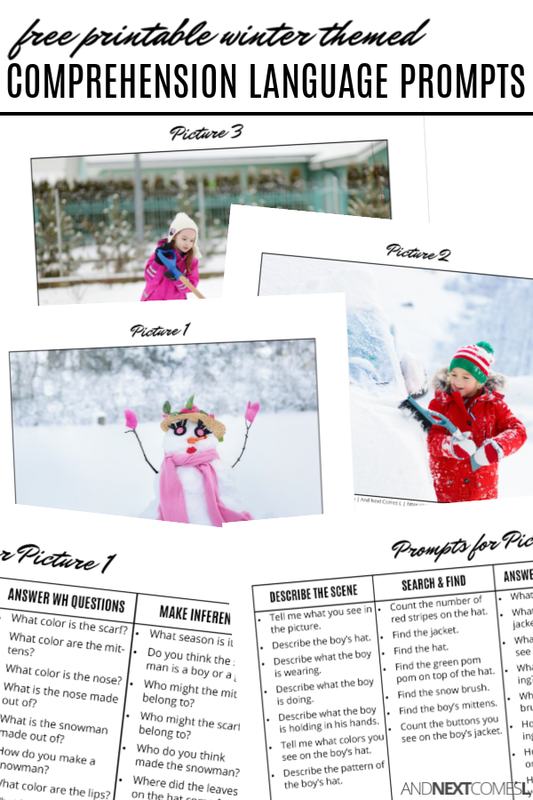 To use these prompts, simply pick one of the pictures from the pack and show it to your child. Then simply work your way through the coordinating prompts sheet to help your child describe, search, answer, and infer. I recommend using the order given on the prompts page, but you certainly don't have to go in that order. 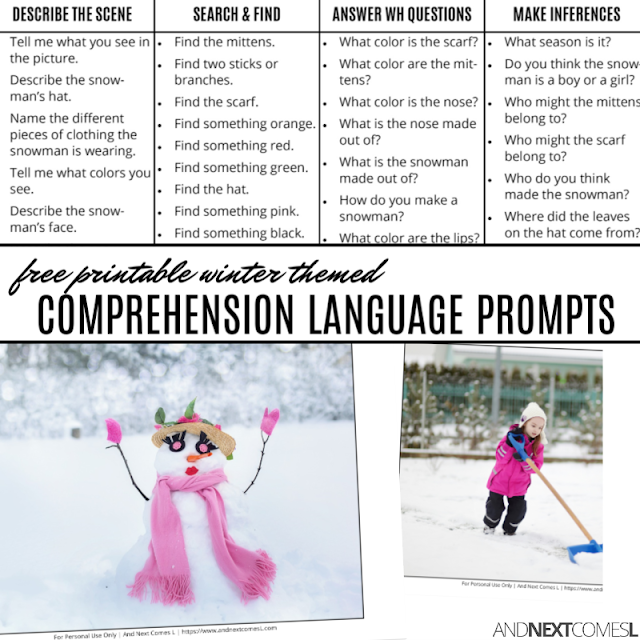 This free printable comprehension language prompts is 12 pages long and includes five pictures with their own set of prompts. Grab your copy below. Want More Comprehension Language Prompts? You'll find even more topics in the big pack of comprehension language prompts!